The wow factor for sit-down dinner parties starts from the table. It’s all fun and games when you’re throwing a casual get-together for friends that involves making a mess with wraps and a variety of fillings. But a formal dinner party requires a bit more planning to make sure the setting is right. Here’s a guide to get you started. No, we don’t mean piling your plate with food and letting it overflow (even if the food is delicious). Getting the right plates for each course matters — a dinner plate for the soup dish, or a mid-sized plate for fish, for instance. Pick plates in dark colour tones and sleek modern designs with unique markings that are good for setting a more formal mood. Don’t fancy black? Try plates in shades such as umber (a dark earthy brown) or ochre for a subtle yet different touch. Earthy shades of umber add a touch of glamour to formal dinner plates. Sometimes the easiest food to prepare is also the tastiest and most eye-catching. Crank up the oven, shove in the main course, and sip on wine while waiting for the food to cook. Go for big bold meats such as côte de bœuf; or a huge slab of pork belly with that extra crispy golden cackling. Garnish with colourful roasted vegetables and a silver jug of gravy at the side for a fanciful finish. Bold hearty dishes make for a good main course. Here’s the great thing about sit-down dinner parties: It’s the perfect occasion to pair different wines with each course. Start by placing the first wine glass to the right and above the glass meant for water. From here, arrange the other wine glasses next to the first in a straight line parallel with the table edge. Every party needs a show-stopper, and a good centrepiece is one that catches your guests’ eye immediately without being too distracting. Skip the pillar candles in candlesticks that can block your guests view of each other; instead, try putting candles (or even tea lights) in vases for a less distracting yet still pleasing effect. 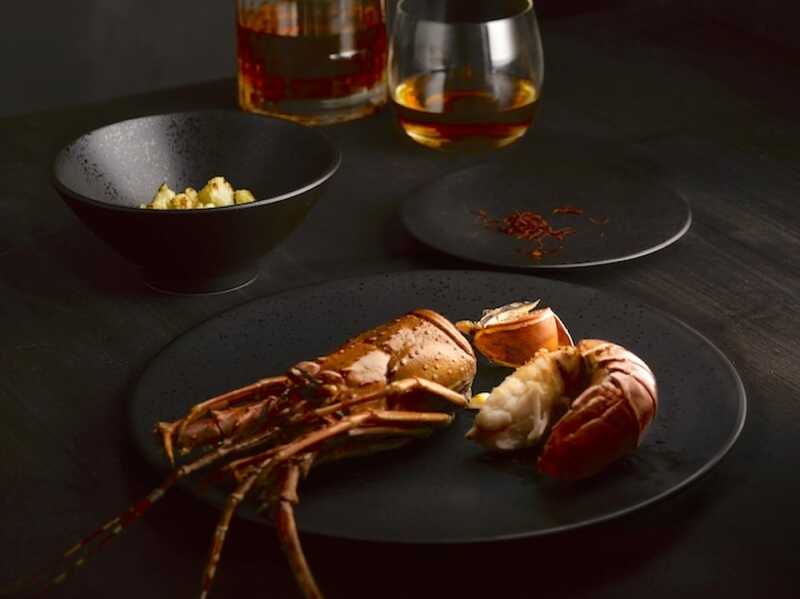 “Our Lava” collection of plates brings warmth and earthy glamour in its deep umber tone. Tell us what dishes you would plate the collection with and the best answer walks away with a set of the limited edition collection of plates. Join the contest here. Looking for beautifully handcrafted tableware? Use the code "LUZMICHELIN" to enjoy 20% off the purchase price via the online store here. Promo code is valid from 22 August to 4 September 2017. Six top chefs share tips on the art of putting together a beautiful plate. We sit down to speak to the man designing tableware for some of Asia's best chefs. We enlist the help of Crate and Barrel's visual merchandiser for tips on getting that Christmas table setting just right.